and plans in a simulated drill focused on a 7.0 earthquake on the Rogers Fault, which runs beneath Santa Rosa. 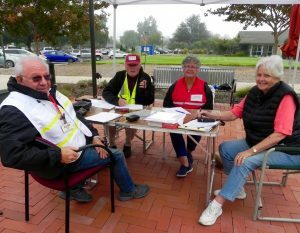 The Oakmont Emergency Preparedness Committee (OEPC) set up a base at the Berger Center to coordinate the Oct. 18 drill, in which many of the more than 200 COPE groups also took part. 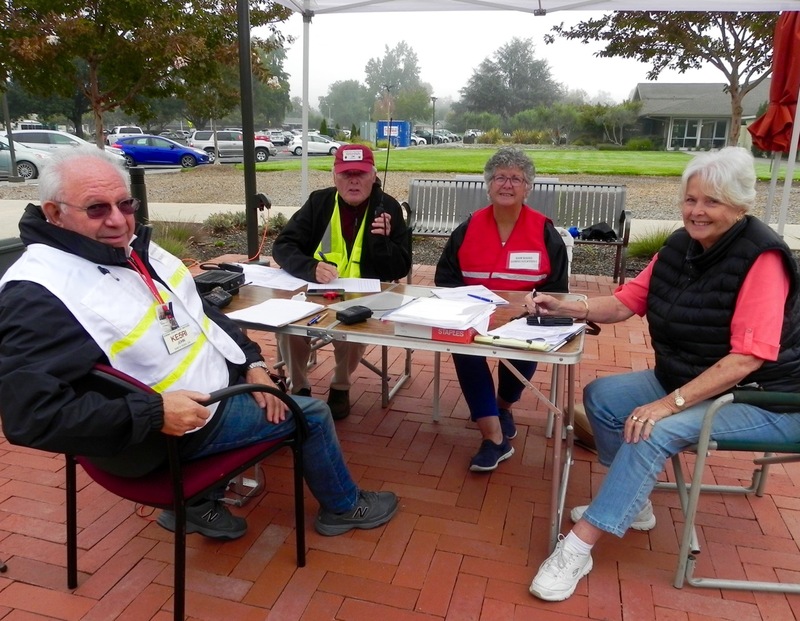 “Many of the COPE groups met to review their emergency plans and practice simulated rescues of their residents,” OEPC’s Fred Polkinghorn said. “Several COPE groups made the drill into a social event and even had block parties,” he added. COPE stands for Citizens Organized to Prepare for Emergencies. 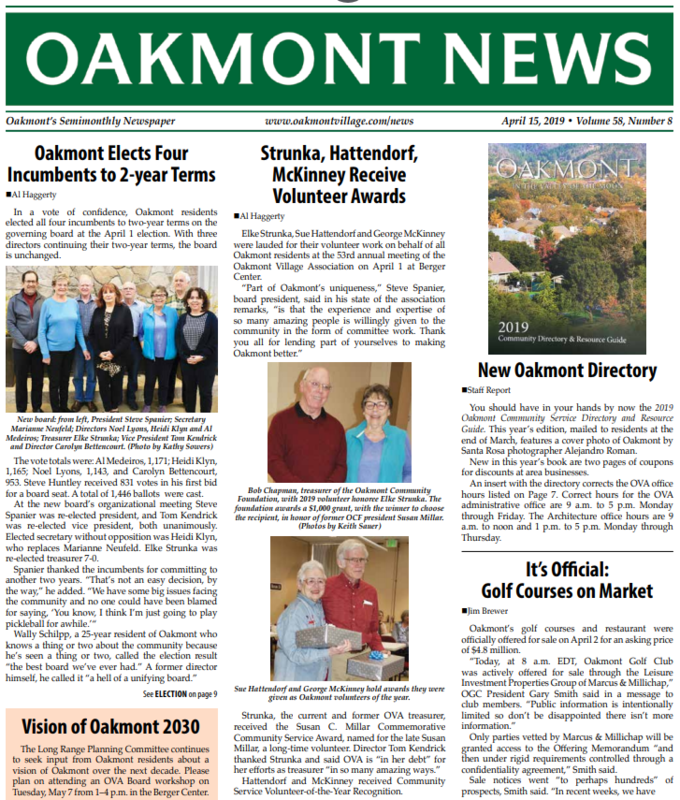 Its volunteers are responsible for a safety in small clusters of neighbors. “The OEPC would like to thank all the residents and COPE leaders who participated, Polkinghorn said. 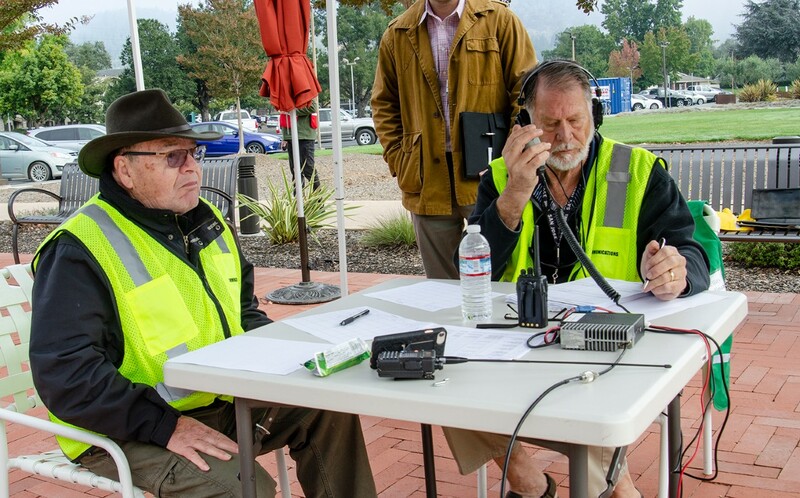 More than 40 zone communicators, net controllers and ham radio operators were part of the drill. There is a need for more COPE leaders and radio operators. Anyone interested in volunteering for an emergency response position may contact Pat Barclay at 570-7500.